After extensive field testing we believe that out new range of ATS Technology hooks are the finest currently available on the market. Made by probably the most respected Japanese manufacturer using the finest Japanese steel these hooks undergo an exacting tempering process to provide strength and long lasting sharpness. A new non reflective coating, which is not Teflon ensure a long lasting corrosion resistance. Collectively these features provide everything you require from a hook. Straight point for instant pricking of the mouth lining. 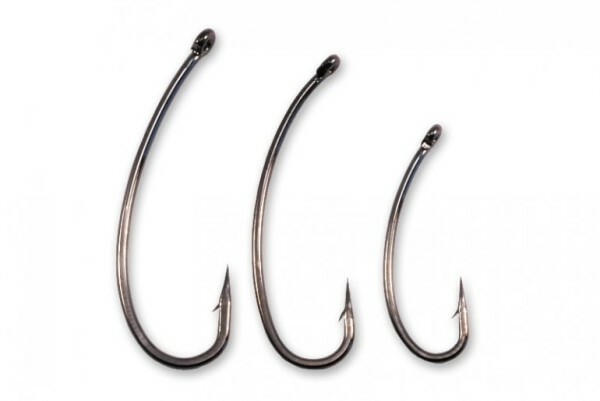 A curved shank to create an increasingly strong hook hold when fighting the fish. A down eye to aid rapid turnover of the hook. All Carp´R´Us hooks have been specifically designed and tested by some of the most famous names in carp fishing. Kevin Maddocks, Tim Paisley, Dave Moore, Frank Warwick and many more. We now offer Free Delivery on All Orders to UK, EU countries, Switzeland, Russia, United States, Canada, Israel & South Africa!